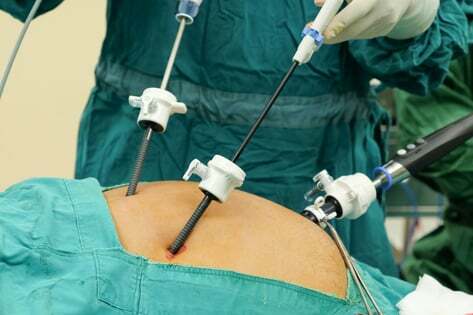 Laparoscopic surgery, also called minimally invasive surgery or keyhole surgery is a modern surgical technique in which operations are performed far from their location through small incisions elsewhere in the body. Compared to the more common open surgeries, laparoscopic surgery has several advantages to the patient such as reduced pain and hemorrhage due to smaller incisions. The recovery time from the surgery is also shorter allowing the patient to resume normal routine faster than the traditional open surgery. EMC has the best facilities for laparoscopic surgery with the expertise of some of the best surgeons trained in their respective disciplines to carry out such surgeries in a safe environment with minimum discomfort to the patient.